Nancy Joyner Consulting, P.C., is committed to improving communication and quality of life for those facing serious illness and those caring for them. Nancy is an advanced practice nurse that has provided 35 years of nursing education and experience to healthcare professionals, patients and their families. 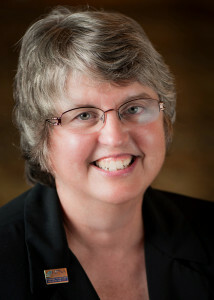 Her areas of experience include neonatal care, pediatrics, home care, personal care, hospice care and palliative care. As a consultant and patient advocate, Nancy will assist individuals who are seriously ill or vulnerable as well as the healthcare professionals caring for them. With permission, she will be able to read individual medical records, attend appointments and team meetings in the Grand Forks, ND, area. She will then discuss what was said as well as what choices and options available. She will clarify questions you may not have been able to ask– not knowing what you do not know. From 2005-2013, Nancy worked as a Palliative Care Clinical Nurse Specialist for Altru Health System in Grand Forks, North Dakota. Nancy has extensive experience caring for patients with serious illness and end stage diseases. She has worked with patients and their families at home and in the acute care setting. Her care for this specialized, vulnerable patient population includes intensive care, surgical critical care, oncology and renal patients. Nancy has had training through the Center to Advance Palliative Care, Palliative Care Leadership Center at Fairview Health Services in Minneapolis. She holds a certification as an Advanced Practice Hospice and Palliative Care Nurse and has prescriptive authority within her palliative scope of practice. Nancy Joyner is an End-of-Life Nursing Education Consortium (ELNEC) trainer/presenter, and has presented and published at local, state and national levels. She has published continuing education articles on pain, hydration and nutrition in terminal care, as well as Alzheimer’s Disease. and She recognizes that caring for patients, who are vulnerable or facing unknowns with end stage disease, as well as their families, requires extreme sensitivity, deep compassion and extraordinary knowledge. Much of her work is devoted to medical discussions to aid in medical decisions. She recently published her first in a series on Medical Discussions/Medical Decisions. Her first booklet that has been sold is What if the Doctor Asks You About CPR. Her passion is in advance care planning, with focus on the Physician’s Orders for Life Sustaining Treatment (POLST) paradigm, which translates patient’s wishes into medical orders. During my years as an advanced practice nurse in palliative care, I have found there is a tremendous gap in knowledge and understanding of serious and chronic illness, the choices people face, what palliative care is and what it can be. This gap not only applies to patients and their families, but to the healthcare professionals caring for them. I am hopeful to provide the education and support that healthcare professionals, patients and families need that deal with serious and life limiting conditions. My goal is to provide expert communication, improved comfort, while respecting a person’s choices and wishes; thus putting the patient in control.